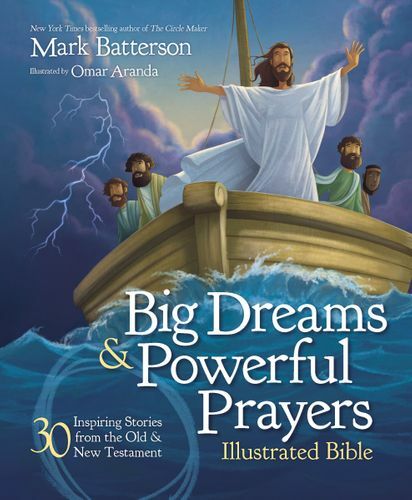 Big Dreams and Powerful Prayers Illustrated Bible, written by Mark Batterson, the New York Times bestselling author of The Circle Maker, presents 30 inspiring stories from the Old and New Testament that will help children understand and embrace the power of prayer in their everyday lives. With Scripture references from the NIrV and stunning illustrations from Omar Aranda, this powerful book will touch the hearts of young readers and help connect them to God. Short Prayer Points after each story encourage children to talk to God and allow him to work in their lives. Prayer changes things. It brings us closer to God and allows us to communicate with the One who loves us most.